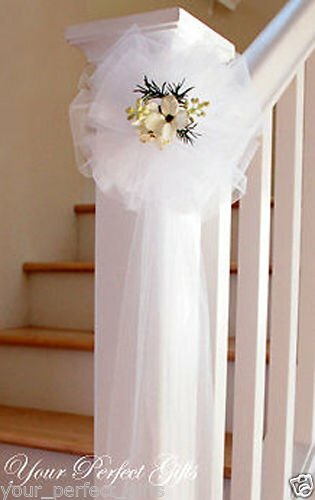 your_perfect_gifts 9'' WHITE TULLE NET WEDDING PEW BOWS BRIDAL DECOARTION by your_perfect_gifts at Two Clock. MPN: PB. Hurry! Limited time offer. Offer valid only while supplies last. View More In Bows & Ribbons - Page 6.